Lately, derivative trading (trading in future and options or F&O on stocks, currencies, and commodities) has become a hot topic amongst investors. Unfortunately, though, most people have little knowledge about how these trades are taxed. Besides, several small traders who have losses from futures & options skip reporting them in their tax return. If you are an F&O trader and struggling to understand how to tackle your taxes, read on. Taxpayers especially those who are salaried but trade in F&O, make the mistake of not reporting these in their tax return. While this may happen due to sheer ignorance; reporting all your sources of income is mandatory. You may receive a notice from the tax department for non-compliance. And as we will see below, reporting losses comes with tax benefits! Trading in futures & options must be reported as a business unless you have only a few trades (say if only 2-3 trades) in the financial year. Remember this also applies to individuals. You don’t have to be formally incorporated as a company or some legal entity to earn business income. Individuals can have business income too. And have to file ITR-4 to report this income (From FY 16-17, ITR 3 is the new name for ITR-4, so from the said year, ITR-3 needs to be filed for F&O trading income/losses). 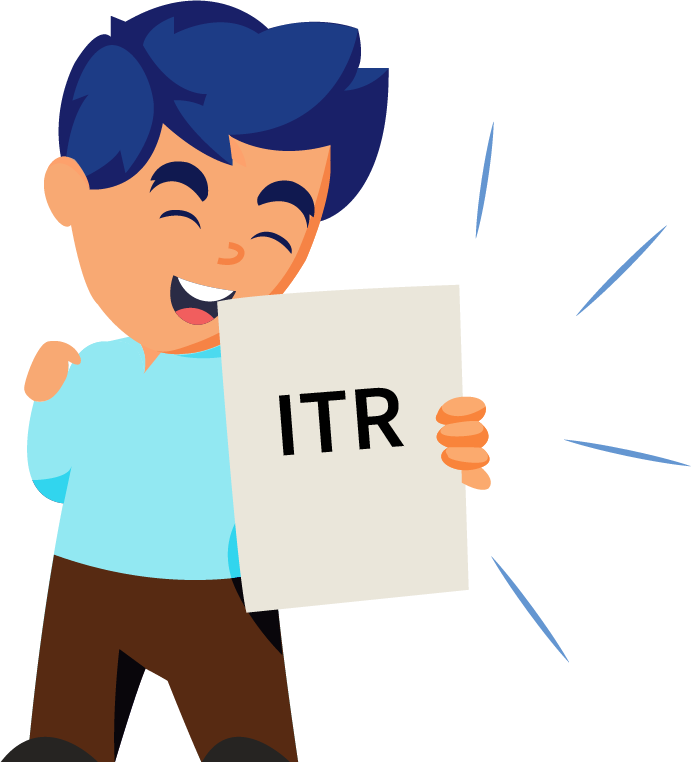 You may have filed ITR-1 or ITR-2 before but you must check ITR form applicability every year based on each income earned in that year. Reporting an activity as a business means you can claim expenses from earnings of your business. The bright spot in filing your return as a business is being able to claim what you’ve spent on it. Sometimes claiming expenses can lead to a business loss and that is ok too. Claim expenses which have been directly and exclusively spent on the business. Brokerage, broker’s commission, subscriptions to journals related to trading, telephone bills, internet costs, consultant charges if you engaged a person or took advice from a professional who charged you. Or salary of a person you hired to help with your business. All of these can be claimed. Remember to maintain proper record of receipts/bills and make sure you are spending via cheques or bank transfers and not in cash. Expenses over Rs 10,000 in cash, may not be allowed to be claimed. If an expense is both personal and business, claim a reasonable portion towards business. As a stock market expert, you may put your hands in many buckets. Intra-day stock trading or buying shares for short term or longer term. For tax purposes, you must separate out these activities. If you do intra-day trading that must be treated as a separate business from F&O and its income (loss) should be computed separately. If you have a large volume and high frequency of short term trading in equity shares that may be treated as a business too. Choose a basis wisely and implement it consistently across financial years. If you are a long term equity investor or have fewer short-term equity share sales, gains from these may be treated as capital gains. So, in a financial year, you may have several types of business income or may have capital gains income as well. Once your activity is treated as a business, there are some other tax rules that may apply. In case you are running a business in the capacity of an individual or a HUF, the requirement to maintain accounting records would arise if your income exceeds Rs 2.5 lakhs or gross receipts exceeds Rs 25 lakhs in any of the 3 preceding years or in the first year in case of a new business.These limits are the enhanced limits w.e.f 1 April 2017. Earlier, the limit was Rs 1.2 lakhs for income and Rs. 10 Lakhs for gross receipts. However, these limits of Rs 1.2 lakhs and Rs 10 lakhs still hold good for taxpayers carrying on business other than individuals or HUF. If you are an individual who’s doing a business, such as F&O trading, these apply to you as well. Your book keeping will be simpler though. Keeping your trading statements, expense receipts and bank account statements shall mostly suffice. From these your profit and loss account and balance is prepared. We know that most taxpayers have to file return by 31st July, but those to whom audit applies, have a return filing due date of 30th September. Audit applies to a business if its turnover exceeds Rs 1 crore. If this is true for you, you’ll have to get your accounts audited via a CA and submit the audit report along with your tax return. If you fail to maintain books of accounts, or do not get an audit done, penalties shall be applicable as per the income tax act. The penalty leviable for non-maintenance of accounting records could go upto Rs 25,000 under Section 271A. Further a penalty equal to lower of Rs 1.5 lakhs or 0.5% of gross receipts or turnover can be levied under Section 271B for not getting books audited under Section 44AB. Tax audit under Section 44AB also becomes mandatory for taxpayers who opt for presumptive scheme of taxation, yet declare an income lower than the presumptive income and such income (after setting off F & O losses or other business losses if any) exceeds the maximum amount not chargeable to tax i.e. Rs 2.5 lakhs. The single most important reason to file with F&O trading is to be able to benefit from losses you have incurred. If your business resulted in a loss, don’t worry, report it in your tax return. It can be adjusted from income from remaining heads such as rental income or interest income (cannot be adjusted from salary income). Any unadjusted loss can be carried forward for eight years. However in future they can only be adjusted from non-speculative income. F&O trading loss is considered a non-speculative loss. Intra-day stock trading is considered as a speculative loss. And it can only be adjusted against speculative income. Unadjusted speculative losses can be carried forward to four years. Example 1: Aditya buys 100 units of Futures @ Rs 200 and sells at RS 210. Example 2: Aditya works with ABC ltd and has earned a salary of Rs 15 lakh in FY 2017-18. Aditya opened a trading account with a brokerage firm by paying Rs 5,000 as enrolment charges. He has to pay 0.02% as brokerage charges for each F&O trade and paid a total of Rs 98,000 as brokerage charges during the year. Aditya has telephone expenses for the whole year of Rs 36,000 and a review of his past bills indicates about 50% of his bill is towards his F&O trade. Aditya spends a significant amount of time researching on the internet which help him improve his trading skills. His monthly internet bill is Rs 1,200. When Aditya looked up his trading statement he found that he has incurred a loss from F&O aggregating Rs 3 lakhs. His total turnover being Rs. 30 lakhs (determined on the basis of the method discussed above). Aditya is unsure if he should report his trading activity from F&O or he can ignore it, since there is a loss. Besides, salary Aditya has Rs 80,000 interest income and Rs 3.5lakhs rental income. Aditya must report his F&O trading as a business. His F&O expense detail is as follows. In the given case, income from business has been declared at Rs. -5,400. The presumptive income @ 6% of his turnover is Rs 1.8 lakhs which is more than Rs -5, 400. Further, the total taxable income is Rs. 15 lakhs which are greater than the basic exemption limit of Rs 2.5 lakhs. Thus, tax audit becomes compulsory and filing of balance sheet and profit and loss in the income tax return are mandatory in this case. If you’re trader and want to file your taxes, visit our page on tax filing for traders.